James Michael Hardin obituary. Carnes Funeral Home. 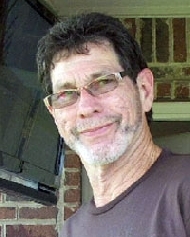 James Michael Hardin, 66, of Quinlan, Tx. passed away on October 14, 2013 after a battle with cancer. Known by his friends and family as Mike, he was born May 10, 1947 in Lawton, Ok. to Hayden Hardin and Lorene Parks Hardin. Mike attended school at Whittier, Tomlinson Jr. High, and graduated from Lawton High School in 1965. He graduated from Cameron College and Central State College with a Bachelors degree. He received his Masters degree from the University of Houston.He spent much of his time doing leather work and was an avid reader. He enjoyed living on Lake Tawakoni in Quinlan, TX. He is survived by 3 daughters, Michelle Gross and husband Andy of Carls Corner, TX, Kelly Hardin of Dallas, TX, and Megan Hardin of Comanche, OK; 2 sons Josh Hardin of Duncan, OK. and Brite Cowden of Lawton, OK, and one step­son, Seth Sabol of Sterling, OK. He is also survived by a sister, Tina Hardin Carver, of Apache, OK and grandchildren, John and Autumn Hernandez of Weatherford, TX., Alan Pomeroy of Hillsboro, TX, Macie, Skylar and Garrett Gross of Carls Corner, TX, Jayla and Valen Hardin of Duncan, OK, and Jaden and Kaylee Cowden of Lawton, OK., and one great grandaughter, Ella Hernandez of Weatherford. He is also survived by one nephew, Chris Prock and wife Wendy of Wylie, TX. He is survived by several Aunts, Uncles and Cousins. He was preceeded in death by his parents, Hayden and Lorene Hardin, a brother, Pat Hardin and wife Kathy Mosier and grandparents Charlie and Minnie Harden, and Oscar and Bertie Parks. A graveside service will be held at Sunset Memorial Gardens in Lawton, OK at noon on Monday, October 21, 2013. Burial will follow under the direction of Carnes Funeral Home, Texas City, Texas.